Fifty years ago on January 16, a young Czech university student named Jan Palach doused himself in petrol and set himself alight at the top of Prague’s Wenceslas Square. Three days after staging this desperate attempt to rouse a demoralised Czechoslovakia in the face of Soviet occupation, he died in a burns clinic. 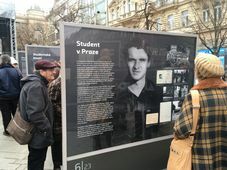 Though his immediate political goals failed, Jan Palach inspired and steeled the resolve of countless others to fight for freedom during the two decades of ‘Normalisation’ that followed the crushing of the Prague Spring. In death, Jan Palach would become known as “the conscience of the nation”, hailed as a martyr of exceptional courage and character. Hundreds of thousands gathered in the freezing January rain to watch the funeral procession of the hitherto unknown student, who was buried after a ceremony at Charles University organised by his peers – few of whom actually knew him. Jan Palach died for that cause in agony, with third degree burns over 85 percent of his body, from head to feet. Slipping in and out of consciousness, under heavy medication to ease his suffering, his main concern was what the reaction had been to his act of self-immolation. In four nearly identical letters dated 16 January 1969 and signed “Torch No. 1”, he had warned that other “torches” – fellow protestors – were ready to follow his example and set themselves alight if their initial demands were not met: to end censorship and cease publication of the occupation newspaper called Zpravy, which had no legal basis to publish. The psychiatrist Zdenka Kmuníčková spent some time at his bedside in the burns ward and recorded his conversation. His lungs were damaged in the fire, and both he and the attending doctors knew he would die. 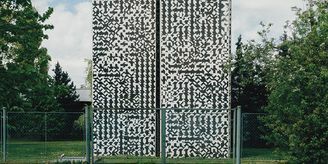 Struggling to speak, and at times gasping for breath, Jan Palach repeated his reasons for doing what he did. Q: “By burning yourselves… You agreed on this with someone? 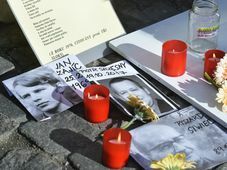 Kmuníčková and other doctors tried to persuade Jan Palach to make some kind of statement to dissuade others from following his example of suicide as the ultimate act of protest. So too did the prominent student leader Lubomír Holeček, whom Palach didn’t know but had asked come see him in hospital. By that time, Palach was only hours away from death and almost unable to speak. 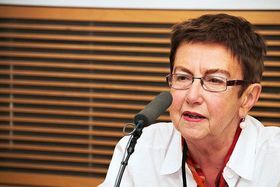 But Holeček put together a statement that was attributed to Palach, which he was allowed to read out on the radio. Jan Palach died on January 19. 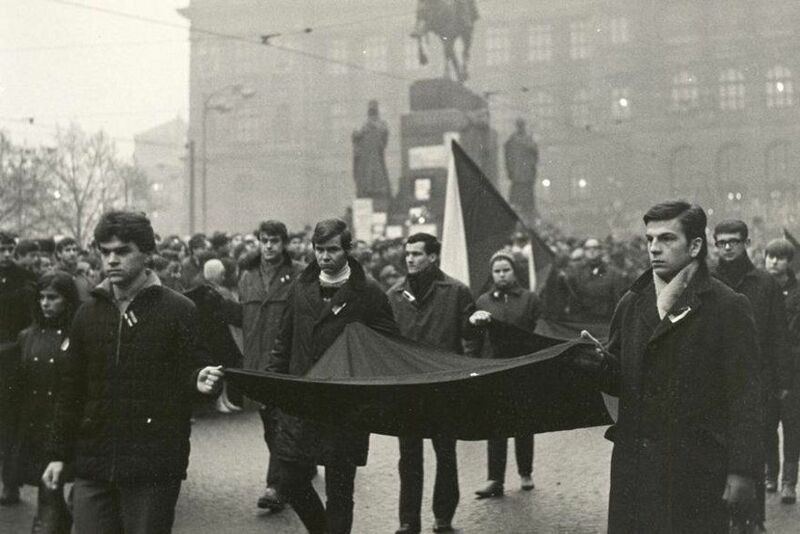 Hunger strikers gathered on Wenceslas Square in his honour that day, and mass anti-communist demonstrations followed. His funeral on January 25 was by far the largest mass gathering in Czechoslovakia since the Soviet-led Warsaw Pact invasion the previous August. No-one from the government dared make an appearance, for fear of provoking the Kremlin. His death ignited a rash of other self-immolations over the following months: by a student named Jan Zajíc, in Prague; brewery worker Josef Hlavatý, in Pilsen; construction worker Miroslav Malinka, in Brno; and by toolmaker Evžen Plocek, a reform communist, in Jihlava. 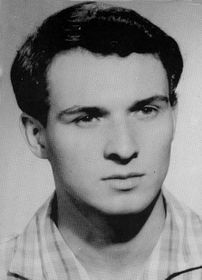 Jan Palach, photo: Public Domain At the time, the authorities were unsure whether “Torch No. 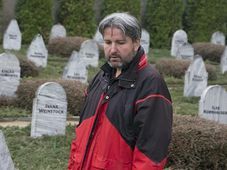 1” had, in fact, acted alone, says historian Jakub Jareš of Charles University, who co-authored a ground-breaking book on Jan Palach in 2009. Do we know if he was aware of the Polish man who self-immolated some months earlier, Ryszard Siwiec (in protest of the Warsaw Pact invasion of Czechoslovakia)? A recording emerged of Jan Palach from his hospital bed, where a nurse and doctor are talking to him about why he did it, and it others would follow him – because he signed his letters as ‘Torch No.1’. Has it now been definitely settled that there was no ‘Torch No.2’ or ‘Torch No. 3’? 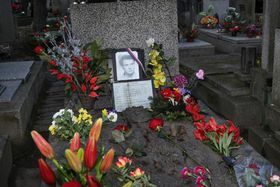 Jan Palach’s grave, photo: archive of Czech Government Would you say he was quite sophisticated, savvy, beyond his years? He was only twenty when he did this, wrote those letters, setting out very specific, seemingly achievable demands – to end censorship and distribution of the occupation newspaper, which had no legal basis to be publishing? “He was considering the number of demands, and actually shortened the list. At the beginning, he was asking for more – for certain people in the Communist party to be excluded from the Central Committee. But then he decided to ask for these two specific demands, which were from his perspective easy to achieve. But none of his demands were fulfilled. What was the reaction of the communists at the time? Hundreds of thousands turned out for the funeral procession of Jan Palach, and it was an event known throughout the world. How did they try to change the narrative – to get people to forget him, or understand his act in a different way? It was only discovered recently that, shortly before his self-immolation, Palach had written to the student leader Lubomír Holeček suggesting students try to seize the Czechoslovak Radio building and broadcast appeals for a general strike; that Palach had considered many avenues of active political resistance before resorting to self-immolation to “awaken the nation”. Historian Petr Blažek, who co-wrote the book “Jan Palach 69” with Jakub Jareš, said in an earlier interview with Radio Prague that this letter places Jan Palach’s suicide in a new context. 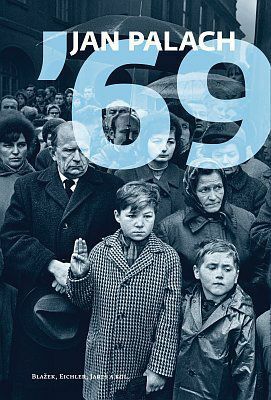 Among those Jan Palach clearly did inspire were numerous eventual signatories of Charter 77, the informal civic initiative pushing the communist regime to honour provisions of human rights treaties to which Czechoslovakia was a signatory. Among them was a playwright named Václav Havel, who already in 1969 was an active campaigner for democratic reform, and recorded a statement which survives, but unsurprisingly, was not aired by Czechoslovak state media. 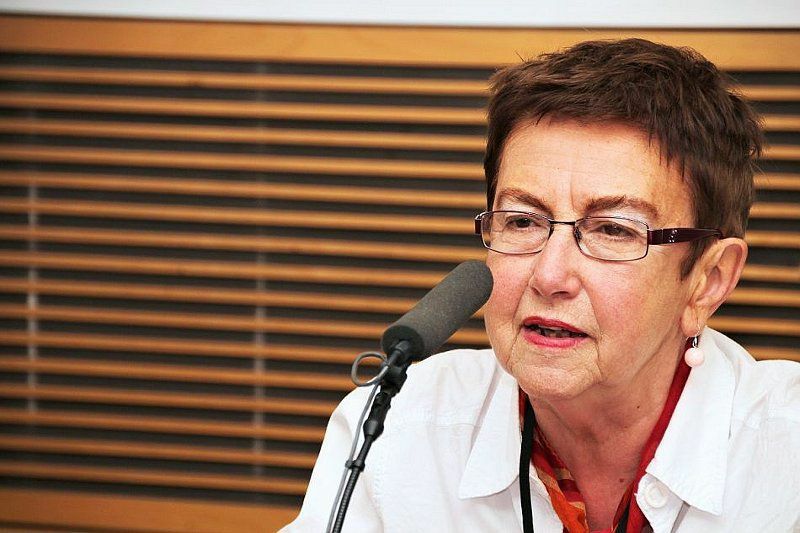 Jiřina Šiklová, photo: Alžběta Švarcová / Czech Radio Jiřina Šiklová is another Charter 77 signatory who drew inspiration from Jan Palach – a student of hers at Charles University. As a reform-minded communist who had embraced the Prague Spring, she left the party after the Soviet occupation, and could only find work in menial jobs. For years, she worked as a janitor at Prague’s Thomayer Hospital while continuing to do research and publishing under pen names. She also became deeply involved in copying, publishing and distributing samizdat, smuggling texts by dissidents and other forbidden texts both in and out of Czechoslovakia. 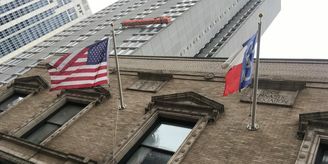 Did you personally ever find strength or inspiration from Jan Palach? 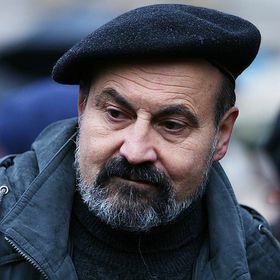 Former dissident Tomáš Halík, who was secretly ordained under communism, was inspired to become to become a Catholic priest by Jan Palach, his classmate. In an earlier interview for Radio Prague, Father Halík said he had also opted not to emigrate in 1968 because of his profound act of sacrifice. Jan Palach was also a key point of reference in seminal events leading up to the fall of communism, with rallies in his name crucial in mobilising support outside dissent circles. 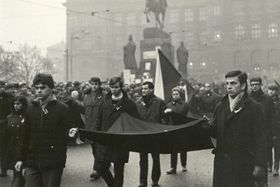 In January 1989, thousands of demonstrators, mainly students, organised protests known as “Palach Week” on Wenceslas Square to mark the 20th anniversary of the young man’s death. Many consider it to have been a dress rehearsal for the Velvet Revolution the following November and the ultimate testament to his legacy.